Tara received a Bachelor of Science degree in Biology from Mount Allison University in 2004 and then completed her Bachelor of Science in Occupational Therapy from Dalhousie University in 2007. She is registered with the Canadian Association of Occupational Therapists and the New Brunswick Association of Occupational Therapists. Tara has 10 years of experience working in the community setting completing home safety assessments, conducting cognitive assessments and providing cognitive rehabilitation services, prescribing both manual and power wheelchairs, providing recommendations for home modifications, assessing for equipment needs in the home, and assisting with Return to Work (RTW) programs. Tara also has experience with ergonomic assessments and job site analyses. Tara is a trained Progressive Goal Attaintment Program (PGAP) clinician and is a registered Clinical Care Manager with Veterans Affairs Canada. She is committed to assisting clients to achieve their functional goals at home, work, and in the community. Tara joined the Proactive Therapy Services team in 2014 and became the co-owner of Proactive Therapy Services on May 1st, 2015. Lori completed her Bachelor of Science in Occupational Therapy from Dalhousie University in 2003. 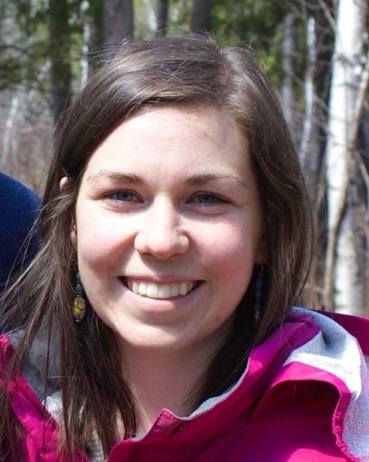 On graduation, she moved to Ontario to work in Acute Care and Complex Continuing Care, relocated to Labrador to work in Primary Health Care and as a Sole Charge OT before moving to Fredericton in 2006. Lori has 14 years of experience, 10 of which are working with adults in the community completing home safety assessments, conducting cognitive assessments and rehabilitation, prescribing wheelchairs and seating, providing recommendations for home modifications and assessing for equipment and personal care needs in the home. Through Proactive she also has experience completing ergonomic assessments, working with employers and insurance companies to facilitate return to work, providing case management services and working with clients with mental health concerns to help them re-establish a healthy life balance. Lori joined the Proactive Therapy Services team in 2010 and became the co-owner of Proactive Therapy Services on May 1st, 2015. Robyn is a certified medical secretary with over 30 years of experience in the fields of orthopaedics and rehabilitation. Robyn provides administrative support for the other Proactive Therapy Services team members and is the friendly voice answering the phone when you contact our office. Shelley graduated from Dalhousie University in 2001 with a Bachelor of Science in Occupational Therapy. She is licensed to practice in New Brunswick and is a member of the New Brunswick Association of Occupational Therapists. She has 16 years of experience working with adults and seniors in hospital, home and in the community. Shelley is certified in the third version of the Progressive Goal Attainment Program (PGAP). She also is a registered Clinical Care Manager with Veterans Affairs Canada. She has experience with assisting clients with re-engagement in daily activities, home safety assessments, cognitive testing, wheelchair prescription and equipment recommendations. Shelley joined the Proactive Therapy Services team in 2008. Jennifer graduated from Dalhousie University in 2001 with a Bachelor of Science in Occupational Therapy. After several years of work in New Brunswick and Nova Scotia she continued her studies to complete a Masters Degree in Occupational Therapy in 2007. She is licensed to practice in the province of New Brunswick and is a member of the New Brunswick Association of Occupational Therapists and the Canadian Association of Occupational Therapists. Jennifer provides occupational therapy services to adults and seniors with physical, cognitive and mental health challenges in their home environment in the greater Fredericton, New Brunswick. Jennifer has experience working with all ages from young adults to seniors both in the community, hospital, rehabilitation and government sectors. Jennifer is certified to administer the Progressive Goals Attainment Program (PGAP). Jennifer joined the Proactive Therapy team in 2016. Renee completed her Bachelor of Science in Occupational Therapy from Dalhousie University in 2004. Renee wrote and passed both the Canadian and the United States certification exam. Upon graduation Renee moved to California where she worked in rehabilitation. She then moved to Ottawa, where she worked in neuro rehabilitation, complex continuing care, and geriatrics. Renee moved back to Fredericton in 2009 and has worked as a community therapist, in primary health care and in rehabilitation settings. Renee has 13 years of experience, most of which involve working in a rehabilitation setting completing assessments and interventions for physical dysfunction, cognition, and prescribing equipment to enable independence in activities of daily living. With three years working in a community setting Renee also has experience with wheelchair prescriptions, providing recommendations for home modifications and assessing for equipment and personal care needs in the home. Renee is also an AMPS calibrated therapist. She is registered with the Canadian Association of Occupational Therapists and the New Brunswick Association of Occupational Therapists, as well as the National Board for Certification in Occupational Therapy in the United States. Renee joined the Proactive Therapy Services team in 2015. Meagan graduated from the University of New Brunswick with a Bachelor in Sociology in 2013. From there she worked in the field of Human Services with adults, children and families before continuing her education at Dalhousie University. Meagan graduated from Dalhousie University in 2017 with a Masters in Occupational Therapy. She is licensed to practice in New Brunswick and is a member of both the Canadian Association of Occupational Therapists and the New Brunswick Association of Occupational Therapists. Meagan has a passion for working with people who are experiencing mental health challenges and has had experience working with children and adults in this field. She also has experience working in community, hospital and rehabilitation settings. Meagan joined the Proactive Therapy Services team in 2017. Leanne graduated from Renaissance College University of New Brunswick in 2011. She spent the next five years working in retail, adventure camps, ski lift services, kayak and canoe rentals, after school programming, and finally, as a personal assistant to a bright young individual with spinal muscular atrophy, type 1. She completed a Masters in Occupational Therapy at Dalhousie University in 2017. Leanne is certified to administer the Progressive Goal Attainment Program (PGAP). She is registered with the Canadian Association of Occupational Therapists and the New Brunswick Association of Occupational Therapists. She is also a certified Yoga instructor. Leanne began her Occupational Therapist journey by working in acute care in a hospital setting. She has experience with palliative care, complex wound management, home assessment and equipment recommendations, geriatric assessment, neurological assessment and rehab, and long-term seating prescription. Since joining the Proactive Therapy Team she now offers services in return to work programming, job site analysis, ergonomic assessment, home assessment, cognitive and mental health assessment rehabilitation. Leanne joined the Proactive Therapy Services team in 2018. Tara is the Administrative Assistant for Proactive Therapy Services. She joined the team in the fall of 2018.